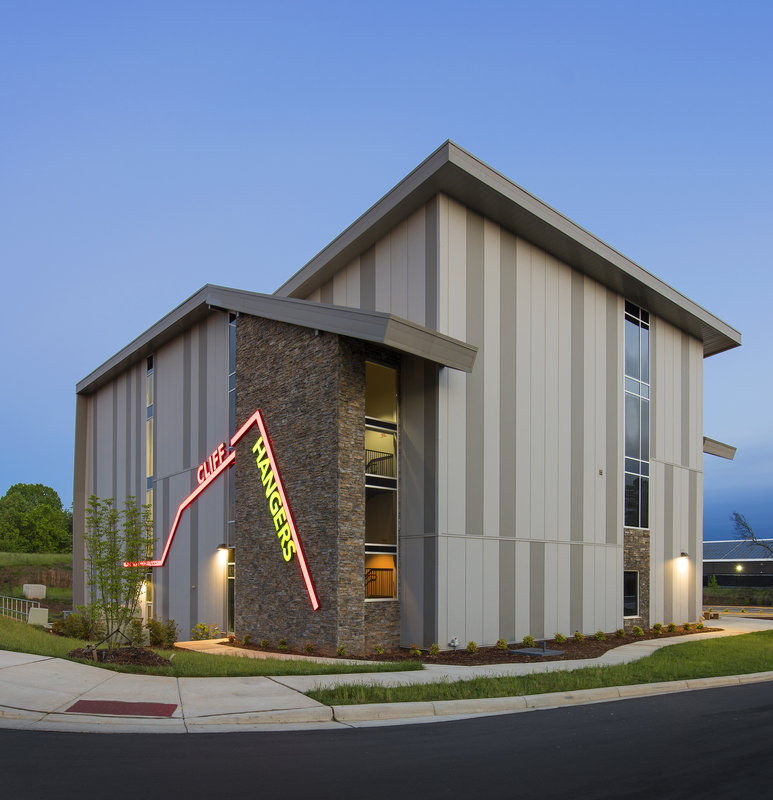 LEWISVILLE, Texas, May 15, 2018 – Approaching the new Cliff Hangers facility in Mooresville, N.C., visitors are greeted by climbers scaling an outdoor climbing wall directly above the front doors. 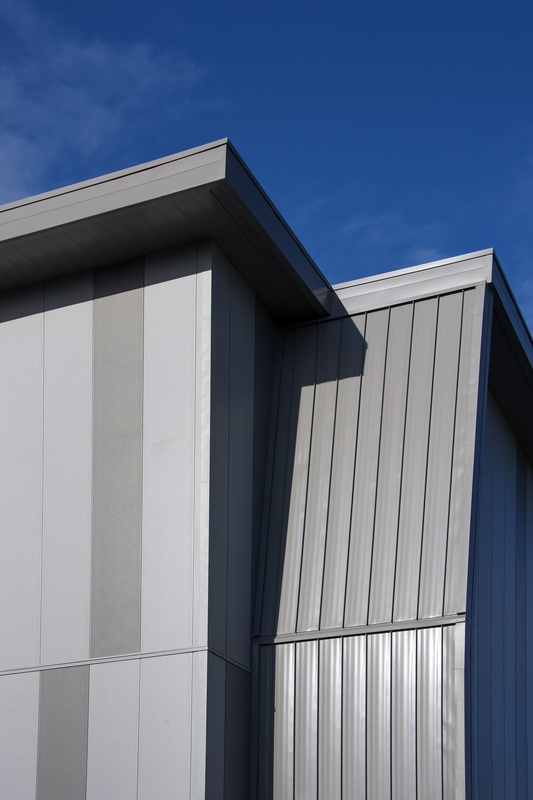 Insulated metal panels (IMPs) from Metl-Span help with that inspiration. 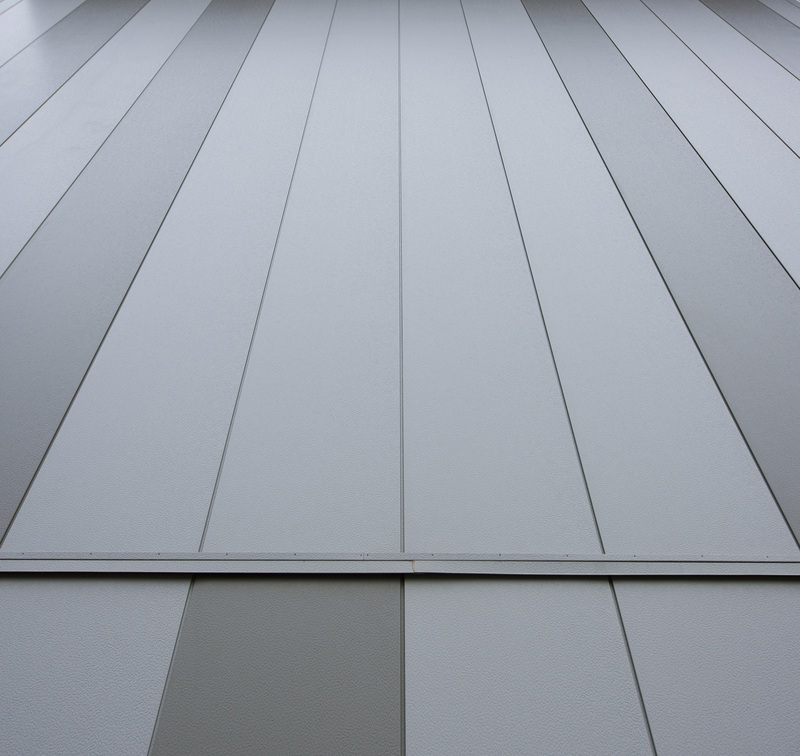 More than 19,000 square feet of Santa Fe embossed 3-inch thick insulated metal panels were installed by Baker Roofing Company of Raleigh, N.C. The darker panels are Slate Gray and the lighter panels are Tundra LG. 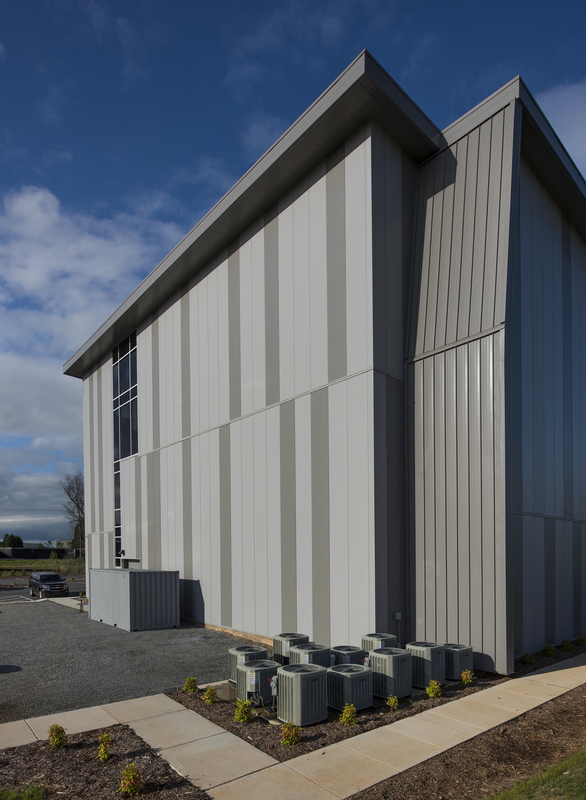 Cluck Design Collaborative had previously researched constructing a pre-engineered metal building with masonry cladding, but opted for IMPs. Kennedy says the aesthetic goal was to create an interest on the building façade by using the standard length of IMPs in only two colors. It is an eye-catching layout. “It looks totally random, but it’s not,” says Scott Rorrer, Head of Operations, Commercial Sheet Metal at Baker Roofing. “We very carefully followed the layout the architect provided for us. It was very specific about where the lighter panels and the darker panels were to go, so it took close coordination with everyone working on the installation. “We double- and triple-checked to make sure we had the panels installed correctly. Metl-Span was very good about packaging the panels in such a way it was easier to unpack the panels and install them in the right order. 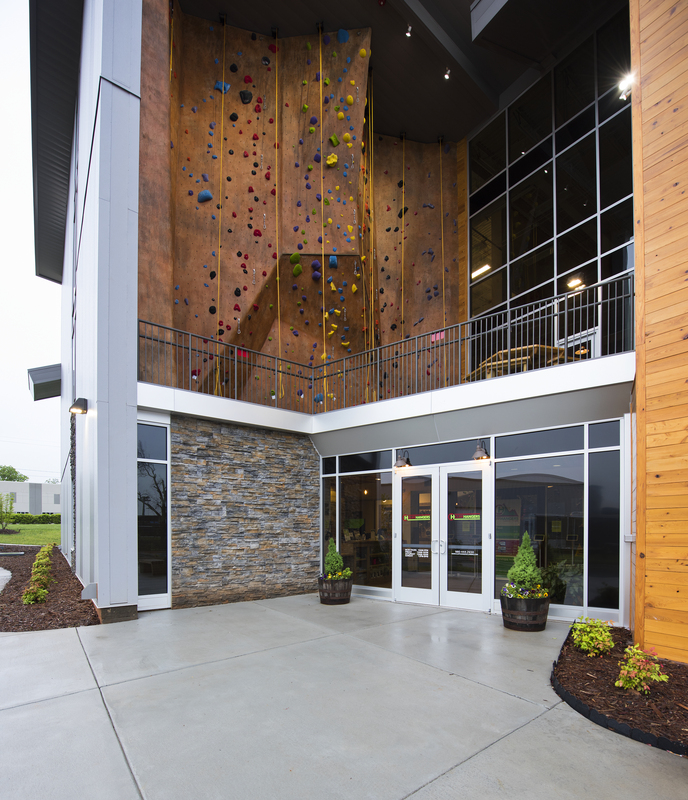 Baker Roofing used an 80-foot manlift to install insulated metal panels on what, at the time, was the tallest rock climbing facility east of the Mississippi River. 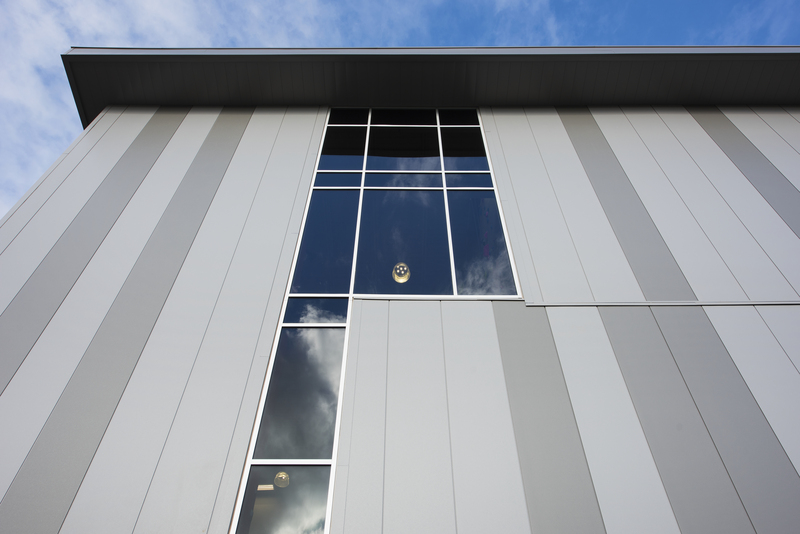 The building is 50-feet tall and housed the state’s only indoor 15-meter competition speed wall. The vertical panels were connected with a stack joint. “We also had a crane onsite to help us install the longer panels on the upper level, about two-thirds of the upper level,” Rorrer says. To satisfy a zoning height limitation, the portion of the climbing floor which houses the 50-foot walls was excavated and built below grade. Baker Roofing also fabricated and installed 24-gauge flush panels for the soffits and fascia. 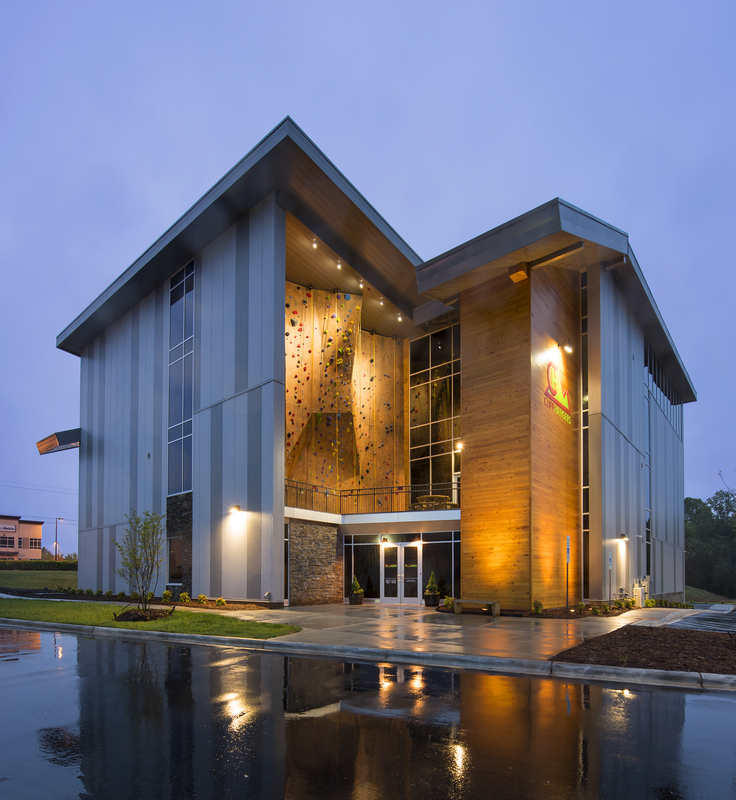 Architect: Cluck Design Collaborative, Charlotte, N.C.
General Contractor: Barringer Construction, Charlotte, N.C.
IMP Installer: Baker Roofing, Raleigh, N.C.